Get ready for a different approach to remodeling your bathroom Baths By Bill is a full service, one-stop full bathroom remodeling company. We're not a high pressure sales company. We're full licensed plumbers and contractors who will provide you with an honest quote to remodel your bathroom and guide you through the entire process from start to finish. Traditional or contemporary, a cosmetic or total remodel, we will design and build for you a beautiful and functional bathroom, combining old world craftsmanship with state of the art construction materials ensuring you a bathroom that not only looks great, but adds value to your home and is built to last. Trust the name that's been around for over 30 years. Trust the name your family, friends and neighbors trust. 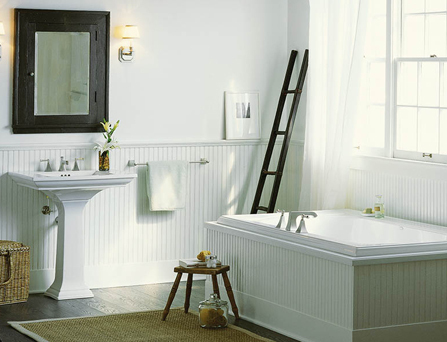 Trust Baths By Bill for your next bathroom remodel.